Brianna Gaither is a singer-songwriter from Oklahoma City with a knack for creating music that’s more than pop, yet contains all the elements that make it so listenable. Love Is Patient is her new release. Available on iTunes and noisetrade, I’d recommend this album for its masterful lyrics and exquisite music – the whole album is very rich in texture, depth, and style. 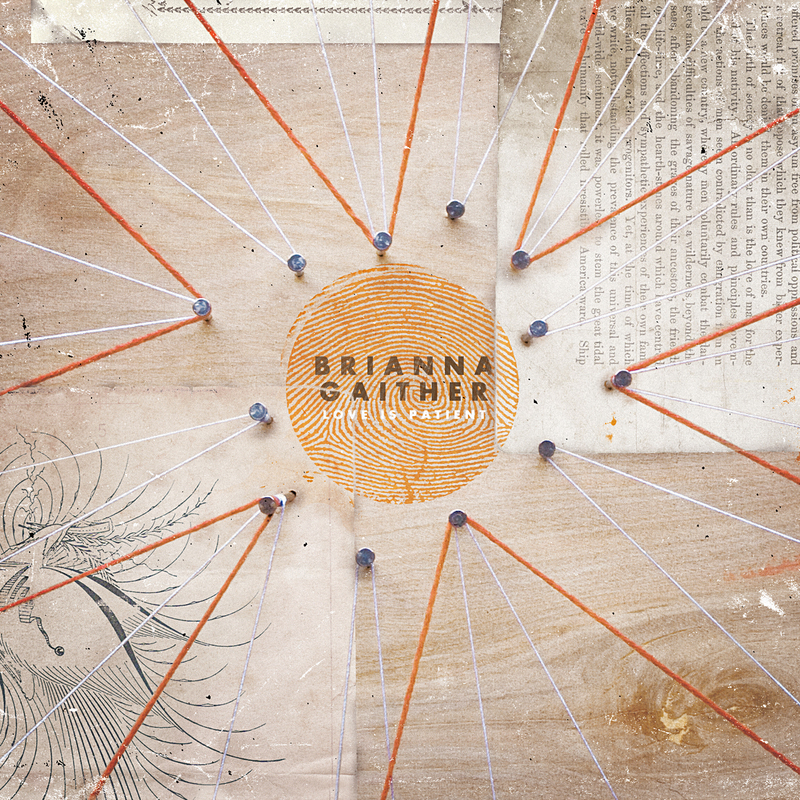 Brianna and her band team capture the art of a song that’s listenable and innovative. They appear not to settle for the redundancies of mainstream pop, and yet learn from it, allowing it to inform the music. Tracks “Stepping Stones” and “Let It Go” are great examples here, as Brianna’s thoughtful lyrics reflect upon coming home or freeing oneself from anxieties or negativity, but are offered in a musical package that is highly accessible and even radio-friendly. She reminds me a little of Ingrid Michaelson and Maria Taylor (who are each impressive in their own right). Other things an audiophile will enjoy on this album are the fantastic harmonies (for example, on “Let It Go”, “Harvest Moon”, and “Find You”), and the use of piano as well as orchestral tones to enrich the soundscape, as well as the the spotlight placed on the lyrics, purposefully elevated sonically above the music to really stand out. Opening track “Find You” is a song about waiting for someone special – but it’s not one of “those” saccharine songs about the perfect person. She asks, “Will you be true when I find you? Will you still be you?” When we meet that person, they’re going to be real! Will we allow and encourage them to be themselves, or will we try to turn them into our own selves? Listen to this track at Spirit, Ocean, Dust, Life and enjoy its lush textures and its surprises; this song is incredibly catchy and yet so distinct from the typical indie-pop hook. Brianna’s impressive range shines on “Find You” as she follows chromatic scales up and down in the verses before hitting some notes at the top of her range in the choruses, doubled with some gorgeous harmonies. The track then segues into a pretty crazy stylistic adventure in what my drummer roommate and I are nicknaming “polka-dot-funk” (catch it at 3:44) and slips back into driving 4-beat rock paired with conviction by Brianna’s simple yet powerful, “I’ll…find…you…”. That’s just one track. As the album opens up, Brianna shows us she’s not a one-style composer. “Harvest Moon” and “Home” are powerful ballads that can’t prevent me from thinking of Michael Buble or Josh Groban. And although I’ve personally not been a big fan of either of them, the fact that I hear them in those ballads is not a bad thing, because I’m making a connection to their talent and eminence in their genres, and the power that lies behind the contemporary ballad. “Home” could easily find itself on a wedding playlist. The last two songs on the album also surprised me very pleasantly. Rich in metaphor and reflective upon the most important things in life, you’re really going to have to listen to tracks for yourself, because the message here is a tad ineffable. I love reading an article that can make people think. Also, many thanks for allowing me to comment!